Plants and the Ancient Fathers encompasses plants associated with Job, Noah, Abraham, Isaac, Jacob and Joseph. In all cases the symbolism of the plants are described. “Can reed flourish where there is no water? While yet in flower and not cut down they wither before any other plant” (Job 8.11-12, ESV). In this verse Bildad, one of Job’s friends recommends to Job that he repent of his sin. Then, God will forgive Job and restore his losses. Typical of wisdom literature, Bildad uses an analogy from nature to illustrate the vulnerability of the wicked. Bildad is sure that Job did something wicked for God to give Job all the disasters that occurred in his live. The flowering rush is primarily a Mediterranean plant. Its presence in Job suggested that his home country possibly had rivers or lakes. The flowering reed in Job 8.12 is the flowering rush (Butomus umbellatus). The word butomus comes from the root words bous (ox) and temmo (cut). The temmo portion of Butomus is an allusion to the sharp leaf margins of the flowering rush. Some writers put this rush in the sedge family known for its cutting leaves. 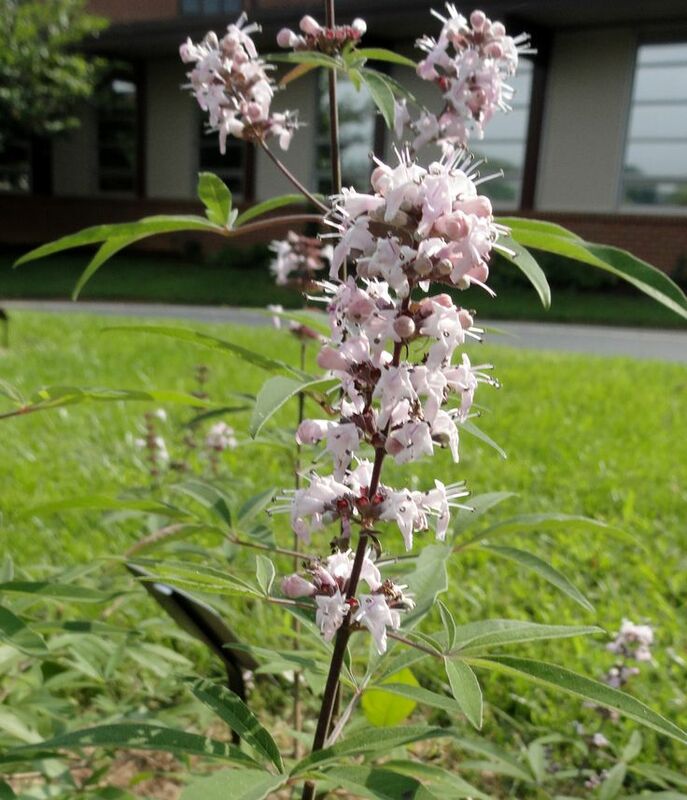 The flowering reed produces flowers April to August. Inflorescence contain 20-25 flowers. The flower itself has three large pink petals. Flowering reeds grow rapidly in wet lands. They can reach a height of 15 feet. At the same time, the flowering rush is vulnerable, dependent on a constant supply of water. The merest drought results in death. Like most reeds, Butomus umbellatus produces rhizomes. Rhizomes break from the parent plant and migrate to new sites where they take root and grow. In Bildad speech to Job, he makes use of a characteristic of flowering rush which suggests that he had studied the plant. Flowering rush rhizomes can move from their original site leaving no trace of their presence. Bildad cautions Job that if he does not repent despite his previous wealth and influence, Job will pass from existence leaving no trace of his presence. Most of us want to be remembered. We want to leave something that makes an impact on the earth when we are gone. Some individuals have children. Others write books, design buildings, or determine to be great politicians. What do you want to leave as your legacy? If anyone had the right to cry it was Job. He lost his children, wealth, and health. His beloved wife advised him to curse God and die. Instead, Job tried to figure out what he did wrong that God punished him with major losses. Job and his friends, who came to console Job on his many losses, adhered to the Near East philosophy that God gave success and a good life to an individual when he/she obeyed God. When individuals suffered reversals or bad things happened to them, God was punishing them for sins, either overt or covert. In reality, Job’s circumstances were not punishment from God. An ornamental grass, Job’s tears plants (Coix lacryma-jobi) represent the biblical Job during the challenges he faced. Job’s tears seeds are small and pea-like. They begin as grayish green orbs and then ripen to a rich tan brown or dark mocha color. Job’s tears plants are an ancient cereal grain. Most often Job’s tears are grown as an annual, but may survive as a perennial where frosts do not occur. Job’s tears ornamental grass makes an interesting border or container specimen that may get up to six feet tall. These wide arching stems add graceful interest to the garden. Job’s tear plants produces strings of seeds that resemble beads. These seeds make excellent natural jewelry and have a hole in the center that wire or jewelry thread passes through easily. Job’s tears are easy to cultivate and plants start quickly from seed. They self-sow and germinate readily when planted in moist loam. It is possible to save the seeds for an early spring sowing. Remove the seed in fall and dry them. Store them in a cool, dry location and then plant in early spring when all chance of frost has passed. When something bad or suboptimal happens to me, I always try to figure out why. I ask God, “what do you want me to learn from this happening?” I apply my reason to the suboptimal event. Candidly, I am resentful on Job’s behalf. Some part of me thinks it is not fair that God allowed Satan to kill Job’s children. The problem or challenge that Job had and that I have is that I imagine God in my image. Consequently, I impose on God my limitations to include my limited thought processes. In reality, God’s thoughts are so much higher than mine that I should not even try to figure out what He is thinking when something occurs in my life. I don’t think it ever occurred to Job, his wife, or friends that God’s power was being played out in the spiritual realm. Reflection: Are you willing to trust God with your spouse, children, health, job, etc.? If so, what would you do differently in your life? Read Genesis 6:9-8:22 for the story of Noah and the cypress wood ark. Noah was ove r 500 years-of-age when God directed him to build an ark (type of boat). The purpose of the ark was to save Noah, his family, and animals from a pending deluge that would sweep over the known world (Genesis 6: 9 – 8:22). Noah was chosen because he was a righteous man, blameless among the corrupt and violent people of his time. Noah had three sons — Shem, Ham and Japheth — who helped him build the ark. The Bible does not identify where Noah lived while building the ark; however, after the deluge the ark landed on Mount Ararat. Today the state of Ararat is in the Republic of Armenia in Asia Minor. God directed Noah to build the ark from cypress wood and to coat it with pitch inside and out. The ark was rectangular: 450 feet long, 75 feet wide, and 45 feet high. Although the roof was not described in Genesis, most likely it was flat as was the floor of the ark. Many scholars believe the roof extended outward over the sides of the ark. The sides of the ark were finished up to 18 inches of the top. The 18 inch opening was for ventilation and light. At one side of the ark, there was a door for entry and exit. (Click the link at the top of the page to see a probable image of the ark). Most of us can remember seeing pictures of the ark from Bible story books that we read as children. In those books, the front (bow or prow) of the ark was always pointed and often the back (stern) was narrowed. In actuality, the ark had no need for a bow or stern because the ark did not plow through the water nor was it steered by a rudder. Instead, the ark was designed to float on the top of the water and to withstand the impact of rain and flood waters. After the ark was constructed, Noah, his family, and animals entered the ark. Then God closed the door. After seven days the rain started and “all the springs of the great deep burst forth” (Genesis 7: 11). Many Christian scholars assert that the deluge was turbulent and included movement of the earth’s tectonic plates resulting in massive tsunami floods. The ark’s occupants remained safely in the ark almost a year: they entered the 10th day of the second month and exited the 27th day of the second month of the following year. Today’s scholars are not 100% sure which tree was used on construction of the ark. The landscape of the earth was destroyed by the great deluge and some former plants were destroyed. Several translations of the Bible identify that Noah used cypress wood (AKA gopher wood). The cypress tree is large, strong and full of resin that acted as a barrier against water seeping into wood and sinking the ark. The wild Cupressus sempervirens var. 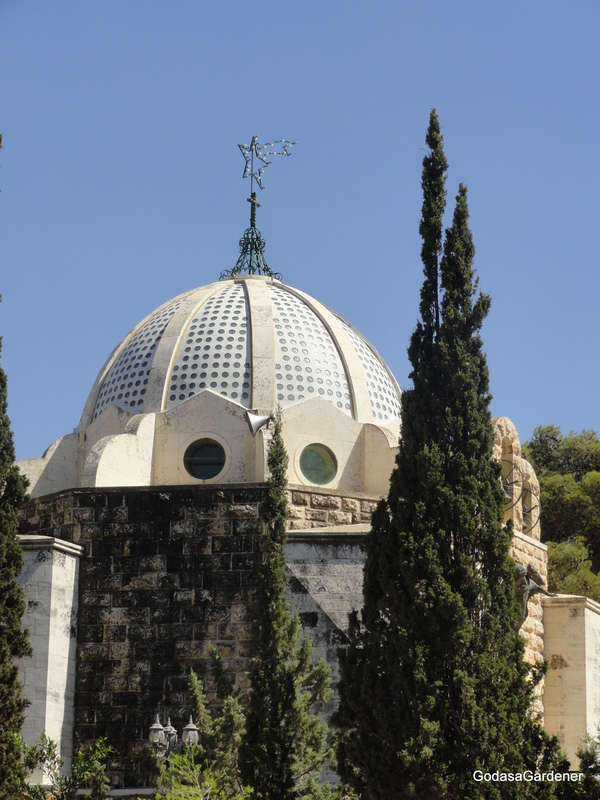 horizontalis (Mediterranean cypress) is most commonly associated with the cypress tree used in construction of the ark. The Latin word semper means always or ever, while the word virens means green; thus the translation is evergreen. 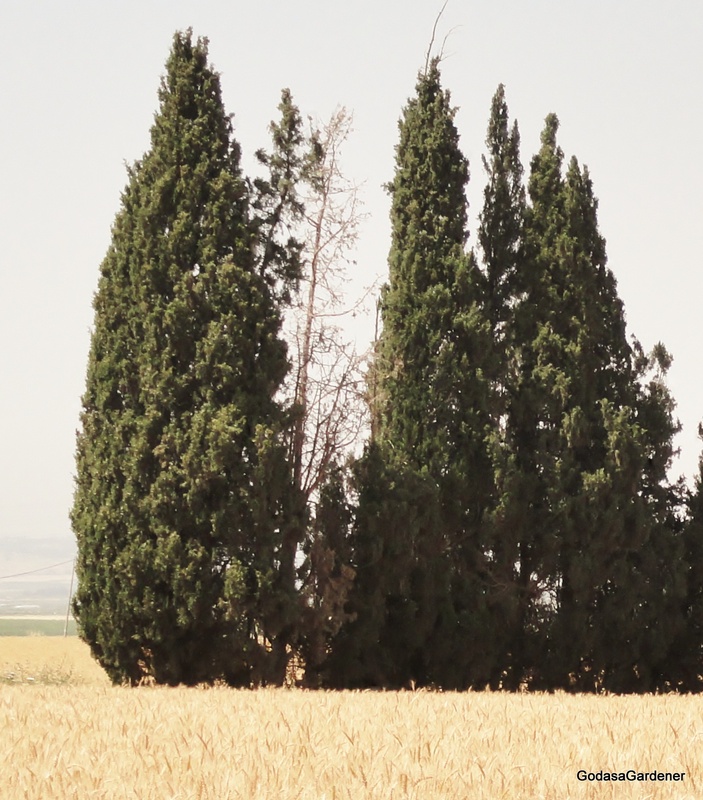 Archeological evidence revealed that cypress trees grew abundantly in Ararat in the post-deluge period. Frequently, the cypress tree is columnar in shape and grows to a height of 115 feet. The tree top is cone shaped. Cypress wood is known for its durability; it was a favorite tree of early Phoenician ship builders. Oil produced from the tree has a woody, slightly spicy smell. Althou gh today the cypress tree is associated with sadness and mourning e.g., it is called the Funeral or Graveyard Cypress because it is planted in Mediterranean cemeteries, in ancient times the cypress was a symbol of immortality. In 1888, John Worcester published Correspondences of the Bible: the Plants. Correspondences refer to the spiritual meaning behind the plants found in the Bible. Worcester wrote that in the upward tip of the columnar-shaped cypress tree and in every shoot and leaf, the cypress points to immortal life with God in heaven (Worcester, 1888, reprint 2009). The cypress-wood ark carried eight individuals through the raging deluge that destroyed life in the then known world. Not surprisingly the tree was associated with immortality through God’s providence. When I looked up “immortality” in several Bibles, I found only one Old Testament reference. Proverbs 12: 28 reads, “In the way of righteousness there is life; along that path is immortality.” Through Noah’s righteousness the human race continued on earth, yet Noah’s righteousness and obedience did not guarantee immortality for the human race. Only by accepting the gospel of Christ are men and women guaranteed spirituality immortality (2 Timothy 1:11). Accepting the good news of salvation from Christ is not dependent on our righteousness; rather it is a gift from Christ. This gift came with a cost which Christ paid through His life, death, and resurrection. Receiving the gift of spiritual immortality from Christ does not absolve men and women from acting right (or righteous). Instead Christ calls us to a new life which includes a new way of behaving. We can no longer ignore the Bible and its guidelines for our new life. Rather, the Bible is our, “How to Live” book. Thought: Does gratitude for you new life and spiritual immortality result in more than a quick “thank you” to God every now and then? Copyright March 10, 2011, Carolyn A. Roth; all rights reserved.